Crafting a beautiful home – the easy way! Recently I’ve been treating myself to scrapbooking and craft books. I don’t have the space or time to craft as much as I’d like, so it’s nice to browse projects and plan/dream ahead. 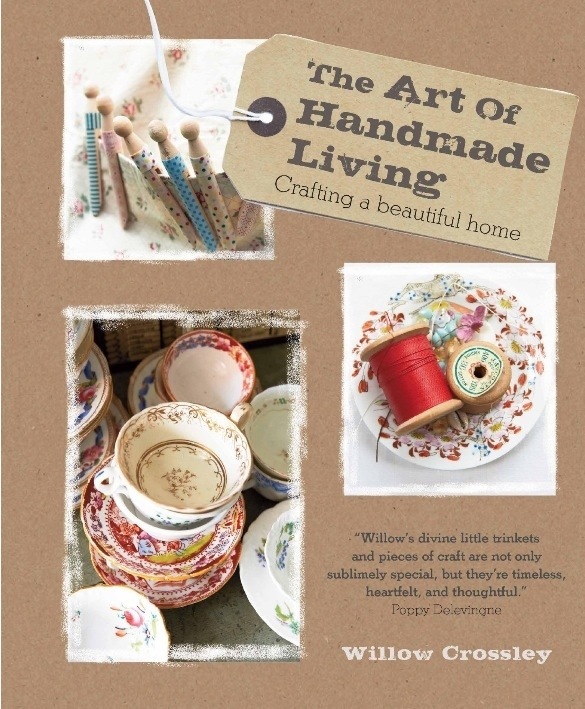 In particular I’m adoring The Art of Handmade Living by Willow Crossley, and feel it’s my duty to share! There are at least 10 projects that I’ll get round to doing once Husband and I have our own home. My favourites include the twiggy advent calendar, memory box, framed word art, fabric covered notebook, fabric decoupage coat hanger and linen laundry bag. Many of which would make lovely presents. Real crafties may yearn for tougher projects to stick their teeth in to. For everyone else I highly recommend it. Swoon worthy. I got mine from Amazon for £11.89.